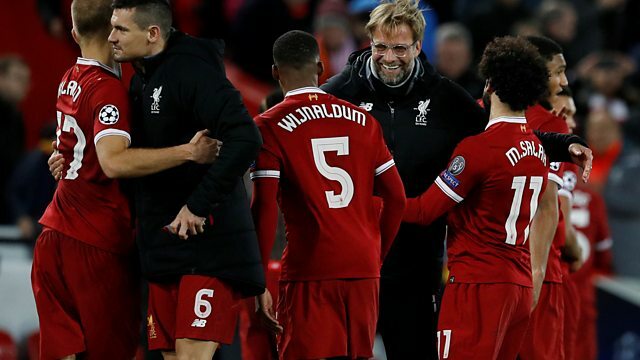 Jonathan Overend is joined by Pat Nevin, Joleon Lescott and Stephen Warnock as Liverpool make it a clean sweep of Premier League sides through to the Champions League last 16. There's reaction to the Reds' 7-0 mauling of Spartak Moscow, Tottenham's win over APOEL Nicosia, and Man City's 1st defeat of the season at Shakhtar Donetsk. And the team preview the weekend's big Manchester and Merseyside derbies.